Christ follower, wife, mother of three. Sharing life through my words and more importantly His Word. First of all we want to thank all of you who have supported our family’s Honduras Mission Trip efforts through prayer and through giving. You are amazing! The kids also have had lots of fun going door to door selling toilet paper for missions and sharing the love of Christ with our Tulsa neighbors (we’ve passed out a lot of Common Ground Church invite cards too!) Oh, the passport process was real fun too! (not) Anyway, this has been a true adventure! With that said, we have a drop-dead deadline to meet. That deadline is Sunday, May 31st. At that time, we have to have earned $1,200 each to purchase the plane tickets for Honduras. This isn’t all the funds we need, but it is what we need by Sunday. As you can see from the thermometer below, at this point only two of us can go. We have been stepping up our fundraising efforts up and will keep going until Sunday. At that time, we will have to make some decisions. So, with that said, if you find it in your hearts to help, I ask that you either contact us at solbergfamily6831@cox.net or OR go to commongroundchurch.tv and click on the “giving” tab. Then click on “quick give”, choose “missions trip”, and specify in the comments that the donation is for Solberg-Honduras. Most of us have probably heard of the Great Commission, but do we really understand its meaning? What is the Great Commission and what does the Bible say about it? The Bible never actually uses the term the “Great Commission” The term was coined by missionaries in the late 1800’s and is now widely associated with a missionary’s call to go make disciples of all nations. In order to understand the biblical meaning of the Great Commission, we must study Jesus’ words carefully. Jesus began by saying that all authority in heaven on earth had been given to Him. If authority had been given to Him, it must not have always belonged to Him. If it didn’t always belong to Him, who held this authority before Jesus? The answer is found in Luke 4: 5-7 which describes Satan’s temptation of Christ in the wilderness: “The devil led him [Jesus] up to a high place and showed him in an instant all the kingdoms of the world. And he said to him, “I will give you all their authority and splendor; it has been given to me, and I can give it to anyone I want to. If you worship me, it will all be yours.” Clearly, Satan held authority over earth prior to Jesus’ death, burial and resurrection. However, Jesus, through His work on the cross, defeated Satan and won back this authority that He is now using here to instruct the disciples. 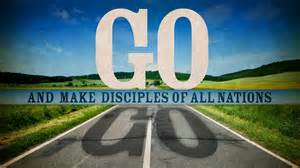 After establishing His authority with the disciples, Jesus then instructs them to “go and make disciples of all nations”. But what is a disciple? The Greek term for “disciple” in the New Testament is mathetes. Mathetes means a “follower” or someone who adheres completely to the teachings of another, making them his rule of life and conduct. A disciple is more than just someone who identifies themselves as a Christian. 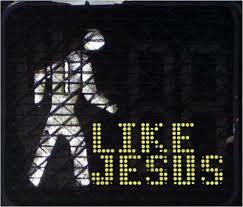 A disciple’s main goal is to be like Jesus. “All nations”. What did Jesus mean when He said all nations? It’s simple. He meant all nations. And all nations includes the United States of America. We do not have to leave our country to obey the Great Commission. Yes, we must GO and yes we must make disciples of all nations, but we can do it where we stand, right here and right now. So how does one go and make disciples of all nations? Jesus did not leave us guessing. If you keep reading Matthew 28, Jesus gives us two ways to make disciples of all nations: first baptize [the nations] in the name of the Father and of the Son and of the Holy Spirit, and second teach them to obey everything He has commanded us. Baptism is a public confession of faith which identifies the person being baptized with Jesus’ death, burial and resurrection. Baptism can only come after hearing the Gospel. A disciple, obeying Jesus’ command to make disciples of all nations, must first tell others about the Gospel. Once the Gospel is heard and then believed, the believer can make a public confession of faith. After the public confession of faith, we are commanded to teach the believer to obey all Jesus’ commandments. Before a person can obey the commandments, they must first know the commandments. The commandments must be taught and then continuously demonstrated by other disciples. This seems like a lot – a big command, making disciples of all nations. But the last thing Jesus’ said is “And surely I am with you always, to the very end of the age.” Jesus is with us. Jesus has not left us as we take up our cross and encourage others to do the same. Jesus is right here with us until the end. As you can see, the Great Commission is more than the command to simply GO to other nations. The Great Commission is to GO AND MAKE disciples in your home, your local church, your City, your state, and your nation. The Great Commission is publicly confessing your faith to others through your words and your actions so that they can see Christ’s love working through you and maybe just maybe when they see Christ’s love in you, they will also accept the Great Commission and they too will GO MAKE DISCIPLES OF ALL NATIONS. As many of you know, our family plans to go on a mission trip to Tegucigalpa, Honduras this summer. We are very active in our local church and have been sensing God’s direction to expand our mission field. We are thrilled to have such an opportunity and are truly excited to help the people of Honduras. Our activities will likely include visiting shelters, sharing our testimonies, praying for others, visiting a deaf school and painting their building, sharing the Gospel through skits, street ministry, feeding the homeless, and helping in the construction of buildings that will aid the community. 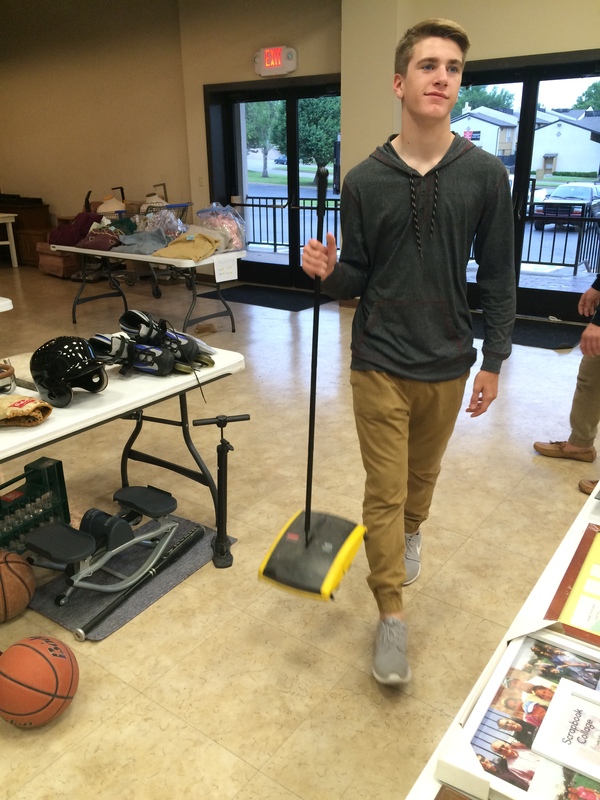 In order to be able to go on this mission trip, we need help in two ways. First, we ask for your prayers. We ask for prayer for safe travels, strength and boldness so we can remain focused on God, allowing Him to do the work He has called us to do. Pray also that the Honduran’s hearts will be readied for an encounter with the love of God. If you would, please leave your prayers in the comment section below. Second, we need to raise $6,600 to cover the cost of travel, lodging, transportation, etc. for all of us. Money is due almost every month, with most of it due the end of May. We have been working very hard to earn the money but our deadline is coming up! It is a large expense, but worth it to see lives changed. 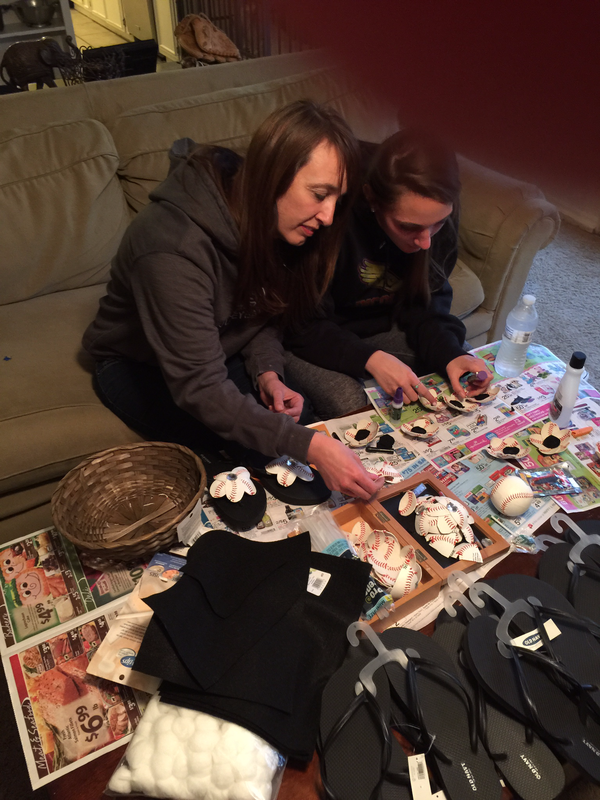 For awhile now, we have been working hard to raise the needed funds. 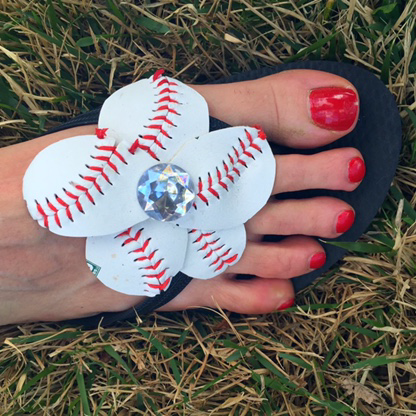 We started Sweet Spot Flip Flops and have been selling baseball flip flops which have been a hit with baseball moms! We also have been hitting the streets, selling toilet paper Yes, you read that right! 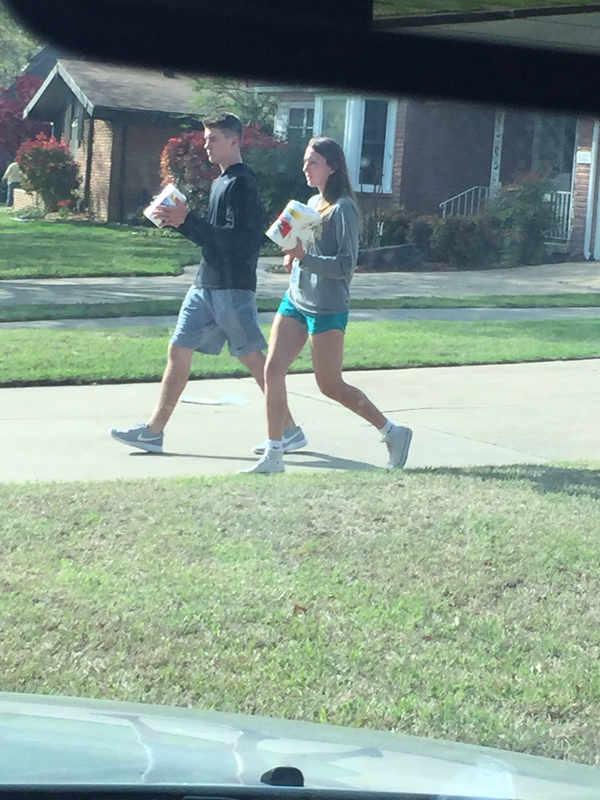 We’ve been going door to door asking folks for donations in exchange for some toilet paper. Everyone uses it, right! 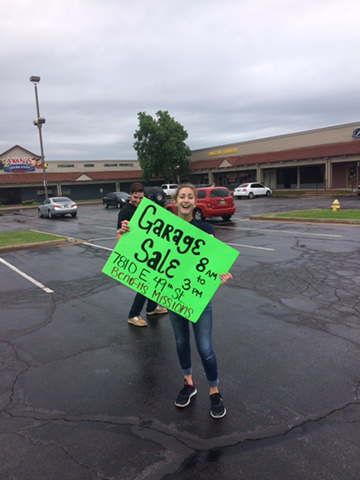 This weekend the kids are participating in a church garage sale at Common Ground – all proceeds go to the mission trip. With all these things, we still need additional financial support: If you would like to support us financially, please send a check to CommonGround Church at 7810 E 49th St, Tulsa, OK 74145. Make checks out to CommonGround Church and add Solberg in the memo with a Honduras tag [Solberg-Honduras] OR go to commongroundchurch.tv and click on the “giving” tab. Then click on “quick give”, choose “missions trip”, and specify in the comments that the donation is for Solberg-Honduras. Thank you so much and check back on the blog for updates on the trip! I’m busy. I have things to do. I like to get things done and get them done quickly. I don’t like to waste time. I know what I need to accomplish in a day and I plan my time accordingly. So when things don’t go as “planned” or when there is an interruption, I can get testy. Just ask my kids. Ask my husband. On my lunch break yesterday, I was interrupted. Yes, things didn’t go as planned. I had several errands to do including getting gas. I usually avoid getting gas at lunch time because it seems that everyone has the same idea and I end up circling the pumps waiting for one to open up. Yesterday was no exception, but I had no choice but to wait, my tank was empty. I was stunned. Looking back on it, I don’t know why I was stunned. My morning prayers usually include asking God to show me others as He sees them; to show me who I need to talk to or who needs to see His love today. Although I pray that prayer, I often become too busy and forget to slow down and actually listen for His answer. Tears come to my eyes still when I think about this – how God works through us, how He answers prayers. He knew that woman needed a break and He used me to show His love. 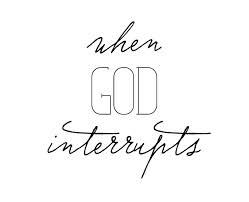 As soon as I realized this, I felt shame that I would complain about being interrupted by God, about obeying His voice. I know this may be a small thing, but I thank God for His gentle reminder that He is constantly at work and if we only stop and listen and obey, He will use us. Growing up I was told to hold my head up high and be proud. Pride to me meant I was strong. It meant I was capable. Pride meant that I would never need anyone or have to depend on anyone. On the surface, those things sound good, don’t they? But if that is true, why does Proverbs 16:5 say that God despises pride? Thankfully, God doesn’t keep us in the dark, He lets us know exactly why He despises pride. Open your Bible and you will find stories of pride and the pain it caused. Pride is mentioned 62 times in the New Living Translation of the Bible and eight verses in Proverbs focus on the dangers of pride. Pride is the reason Lucifer fell and Adam and Eve disobeyed God. Because of Pride, Cain killed Abel and the Israelites wandered around the desert for 40 years. So what is pride and why is it so bad? One definition of pride is a “feeling that you respect yourself and deserve to be respected by other people; and a feeling that you are more important or better than other people.” But practically speaking, what does pride look like in our everyday life? Can I say ouch?! I don’t know about you, but I like to argue and I don’t like to lose. In fact, I used to argue just for the sake of winning even when I knew I was wrong. Have you ever been in an argument with someone, maybe your spouse and as the argument continues, you realize that what the other person is saying is true? But you know if you admit that it is true, you will lose the argument. Still you just can’t seem to admit you’re wrong. You can’t lose. You have to be strong. So you try another approach. You focus on another point, trying to confuse the enemy. Did I just say enemy? Yes, at this point your spouse is the enemy and the enemy must lose. That is PRIDE. Pride is nasty isn’t it? Maybe it isn’t your spouse, but it is your parents or a friend. It doesn’t matter, the end result is the same. Pride chokes relationships like weeds choke a garden until those things we planted no longer have room to grow. Pride kills relationships. Anyone else have trouble apologizing? Or apologizing first? Remember the argument that you had to win? Once its over, you start feeling bad. You know you were wrong. But you don’t want to apologize because apologizing means that you have to ADMIT you were wrong. PRIDE keeps you from apologizing and not apologizing damages, if not destroys relationships. Others used to say I was stubborn as if that was a good thing. But you see, stubborn people don’t listen to other’s counsel because they don’t value other people’s opinions. Stubborn people think they are better than others, that they know best and don’t need anyone’s advice. They ignore wise counsel. That is PRIDE. 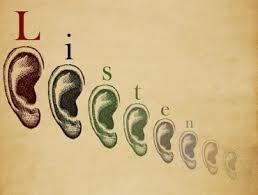 Refusing to listen to others because you think you know best can cause you to go backward and not forward. How would the Israelite’s destiny have changed if they would have listened to the wise counsel sent to them by God? What about you? Has there ever been a time when you have ignored wise counsel and wished you hadn’t? Have you ever said, I wished I would have listened? I don’t know about you, but I want to go forward and not backward. I want all that God has for me. I don’t want to miss my promised land. Yes, that is the big one. 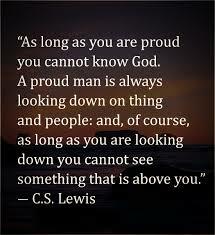 Pride keeps us from seeking God. I know that was the case for me. I was strong. I was capable. I didn’t need anyone and I certainly didn’t need God. I thought that those who sought after God were weak. I thought that they were incapable. I thought God was for those with problems, not for people like me. That is PRIDE. Pride keeps us from seeking God and fulfilling our God-given destinies. Can you see why God despises pride? Pride destroys not only our earthly relationships, but our relationship with the one and only God, our Father. Every day people’s hearts are hardened to God because of pride. 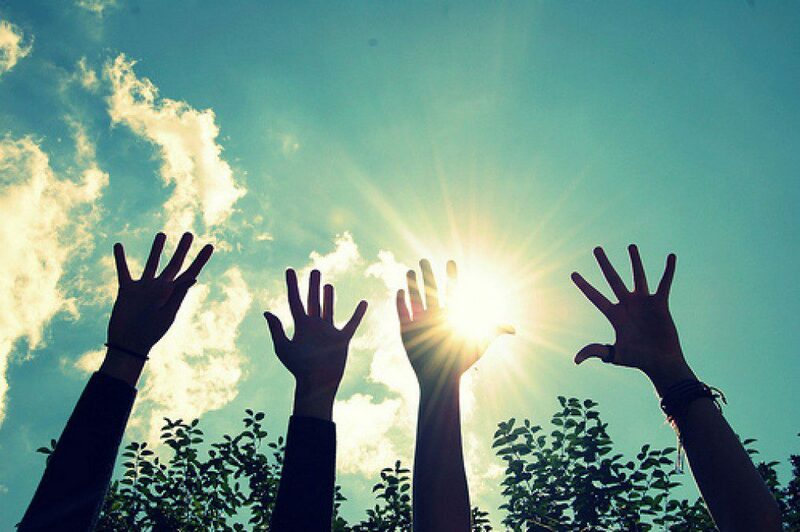 People think they do not need God, therefore they do not seek Him. When people do not seek God, they do not know God and when they do not know God they miss out on all God has to offer. God despises pride!